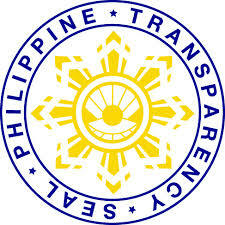 As part of the Department’s efforts to raise the level of transparency and accountability in local government units, Secretary Jesse M. Robredo of the Department of the Interior and Local Government (DILG) today issued guidelines requiring provinces, cities and municipalities of the country to publicly disclose their financial transactions by posting them in conspicuous places within their localities, or published in newspapers of general circulation and in their websites. “This is part of our effort to aggressively scale up interventions to elevate the practice of good governance that values transparency, accountability, participation and performance,” said Robredo during the signing of the memorandum circular in the presence of representatives of the Leagues of Provinces, Cities and Municipalities, civil society organizations and other non-government organizations at the DILG central office in Quezon City. Robredo cited two laws, the Local Government Code of 1991and Republic Act 9184 the Government Procurement Reform Act, that both mandate the full disclosure of local budget and finances, and bids and public offerings. Specifically Section 354 of the LG code requires the posting within 30 from the end of each fiscal year in at least three publicly accessible and conspicuous places in the local government unit a summary of all revenues collected and funds received including the appropriations and disbursements of such funds during the preceding fiscal year. On the other hand, RA 9184 calls for the posting of the invitation to bid, notice of award, notice to proceed and approved contract in the procuring entity’s premises, in newspapers of general circulation, the Philippine Government Electronic Procurement System (PhilGEPS) and the website of the procuring entity. Under the guidelines, governors, city and municipal mayors are directed to publicly disclose their transactions particularly their annual budget with items as to personal services, maintenance and operating expenses and capital outlay; quarterly statement of cash flows; CY 2009 statement of receipts and expenditures; CY 2010 trust fund utilization; special education fund utilization; 20% component of the Internal Revenue Allotment (IRA) utilization; gender and development fund; statement of debt service; annual procurement plan; items to bid; bid results on civil works, and goods and services; and abstract of bids as calculated. Robredo said in the event a local government does not have a website, effect the posting of such financial transactions through the DILG regional office website or the DILG central office website. “Full disclosure will pave the way for local residents to share their efforts in bringing about desirable development outcomes for their localities. After all, development is a shared responsibility,” he said. He also directed the DILG regional directors to monitor local governments compliance with his directive and to submit compliance report to his office, even as he warned local chief executives that non-compliance with the directive shall be dealt with in accordance with pertinent laws, rules and regulations.